The transport ministry said Friday its inspection of a Kobe Steel Ltd. plant in Mie Prefecture found no further evidence of misconduct in addition to its data-falsification scandal. The Land, Infrastructure, Transport and Tourism Ministry conducted a three-day probe in late October on Kobe Steel’s Daian plant in Mie after it was learned that Japan’s third-largest steel maker had fabricated product data for decades. The plant makes aluminum used in the Mitsubishi Regional Jet. 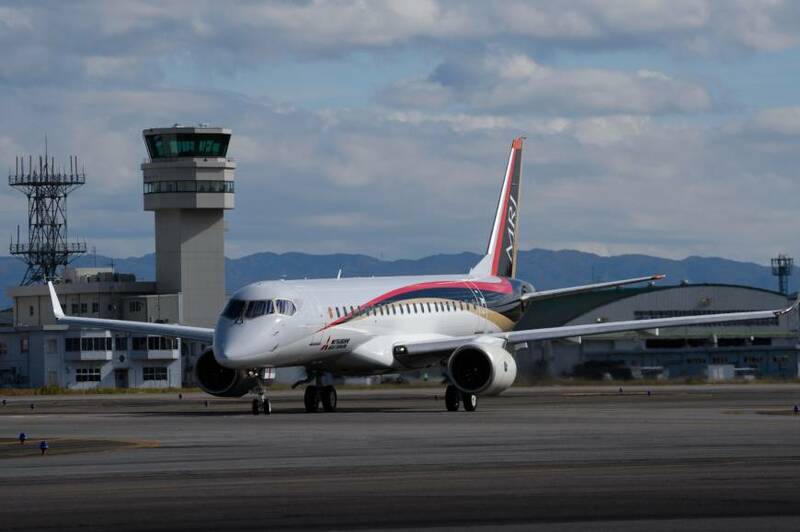 The developer of the plane, Mitsubishi Heavy Industries Ltd., has said there is no safety concern regarding the issue and reiterated Friday that it will proceed with its development plan as scheduled. Based on the inspection at the plant, the ministry confirmed steps were taken to prevent a recurrence of data fabrication but instructed Kobe Steel to take additional measures, including strengthening training at a quality control section. “We will swiftly compile an improvement plan and ensure its execution,” a Kobe Steel public relations official said. In the data fabrication scandal, which surfaced in early October, the company admitted to falsifying data on products and specifications — including for aluminum, copper, steel powder, liquid crystal display materials and special steel products — it supplied to 525 companies ranging from automakers to bullet train operators. The Mitsubishi Regional Jet is the first Japan-developed commercial passenger jet. 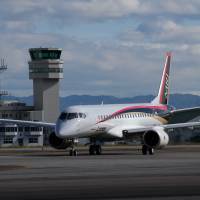 The first delivery is currently scheduled to take place in 2020.
scandals, MRJ, aircraft, Kobe Steel Ltd.